I’ll never forget the moment I arrived in Tokyo. After the worst long-haul flight I’d ever taken, the excitement, anticipation and a little bit of nostalgia left no room for jet-lag as the Narita Express sped into the city centre. “This could have been my life” I thought, thinking back to how my choice of degree changed from Japanese to Arabic at the last minute. The truth is, I wasn’t sure I wanted to live in Japan for a year – I thought it would be overwhelming. And arriving in Tokyo 9 years later certainly was overwhelming. Tokyo is big, bright and busy, but peacefully so. It’s a weird contrast and one of many contrasts you’ll discover when you first visit Tokyo. When you begin planning a trip to Japan, one of your first questions is likely to be: how long should I spend in Tokyo? It’s always hard to judge how much time to spend in the capital – which is usually your landing point and first stop – versus the rest of the country when visiting any new country for the first time. And while I would usually recommend just a day or two to see the best bits before moving on, Tokyo is a little different. Even though I lived a busy city life before quitting my job to travel full-time, I’ve never really been a fan of big cities. But even though Tokyo is a HUGE city, I instantly fell in love with it. Yes, it’s huge, but it’s mesmerising and it’s quietly chaotic – the kind of city that even city-haters can get on board with. If you want to scratch more than the surface of Tokyo, I’d recommend spending at least 4-5 days there. Even if you only have one week in Japan in total, 5 days in Tokyo is a good amount of time to spend exploring, soaking up the sights and sounds of this buzzing capital. If you have a little less time on your hands, I’d still recommend spending at least a couple of days getting to understand this special city. And if you have more? Well, Tokyo makes a fantastic base for exploring most of Japan thanks to the Shinkansen bullet trains that connect the country. The one time you might want to cancel your Tokyo accommodation is if you plan to visit Hokkaido or some of the more northern parts of Japan. Related Read: When is the best time visit Hokkaido? This Tokyo itinerary has been designed to show you the best things in Tokyo while giving you a taste of just how eclectic the city is. You can either follow it step-by-step or pick and mix the bits that suit you best. If you’re pushed for time, you could probably fit this itinerary into just 4 days if you don’t mind rushing a little. If you have more than 5 days in Tokyo, I’d definitely recommend adding in at least one or two more of these easy day trips from Tokyo to see a little more of Japan. Tokyo has two main airports, but most international visitors will arrive at Narita International Airport. The easiest way to get into central Tokyo from Narita Airport is on the high-speed, aptly named Narita Express. A one-way ticket costs around 3,000 Yen (about £20 or $27) and the journey takes just under an hour. Just like most of Japan’s bullet trains, the Narita Express is one of the most comfortable trains I’ve ever travelled on. There are plug sockets and free WiFi on board, too, so you can download maps, check your reservations and add to your plans while you ride. Or you could just look out the window and take in your first view of the country – it’s a pretty special sight if it’s your first time visiting Japan! 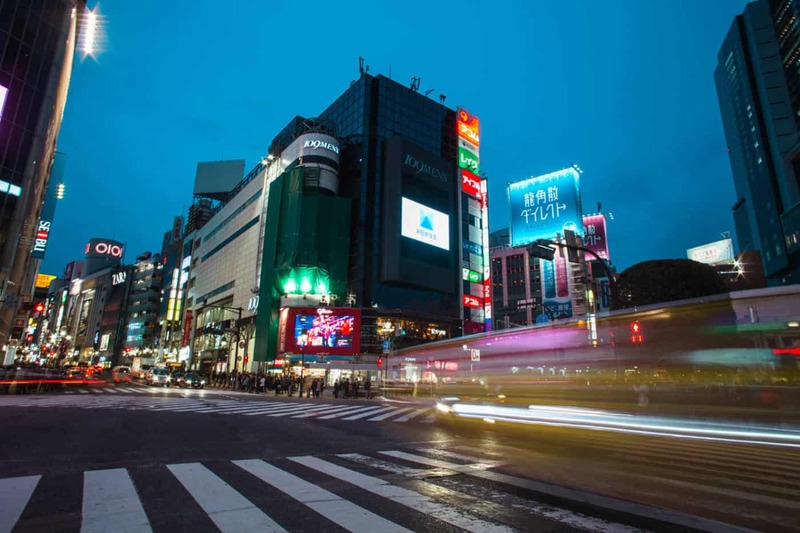 The exact calling points can vary on each train, but staying in Shinjuku or Shibuya will make it easy to get to your hotel and provide a great base for exploring Tokyo and beyond. Unfortunately Tokyo accommodation does not come cheap, but you’ll save both time and money by staying as close as possible to one of these stations. TRAVEL TIP | If you don’t want to pay over the odds for a tiny hotel room, you can pay slightly less for a tiny apartment on Airbnb. Click here to get £25 off your booking. Even if your Japan knowledge is lacking, you’ve probably heard of Harajuku. In fact, you may not even realise that you’ve heard of Harajuku, but if you’re familiar with Gwen Stefani or think of girls resembling real-life dolls when you hear the words “Japanese fashion”, there’s a good chance you’ve come across the term before. Japan is one of the most eclectic countries I’ve travelled to, but the Harajuku district is on a whole new level. It’s loud, it’s colourful and it kind of doesn’t feel like real life. 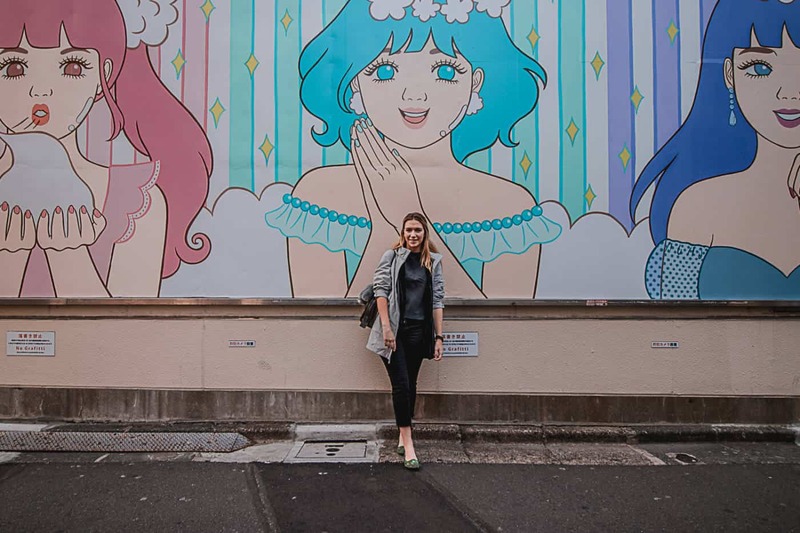 You’ll know when you reach Harajuku because you’ll feel like you’re stepping onto the pages of a very cute (or kawaii, as the Japanese might say) comic book. RELATED READ: Check out this detailed guide to Tokyo’s art and culture to find more things to do. Anything goes in Harajuku and one of the best things to do there is to simply wander around and attempt to take it all in. 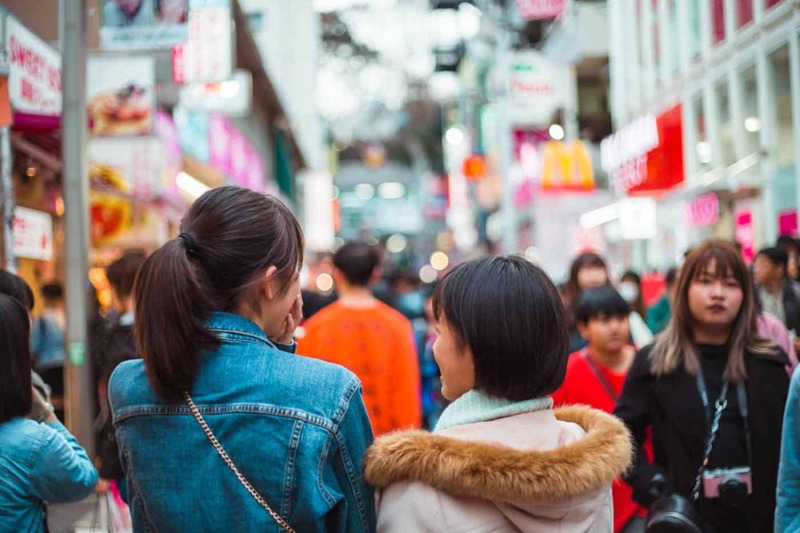 People watchers will be in their element, sweet-toothed travellers won’t know which colourful candy to try first and fashion-lovers could spend an entire day trying on Japan’s least conservative clothing. Takeshita-dori (or Takeshita Street) is the main shopping street in Harajuku. It’s right outside the Harajuku station and full of colourful shops selling clothing, accessories, sweets and more. If you need a break from Harajuku’s lively streets, step inside Reissue Cafe for a 3D coffee. The talented coffee artists take coffee art to a whole new level, creating any image in 2D or 3D on your latte. I showed them a photo of my bunny, Binky, and the resemblance was almost too close for me to drink it. Try the local udon noodles at Hanamaru Udon. Chunkier than your average ramen, these noodles may be even more delicious too. This underground restaurant was a real gem of a find, with fast service, affordable prices and lots of locals inside. 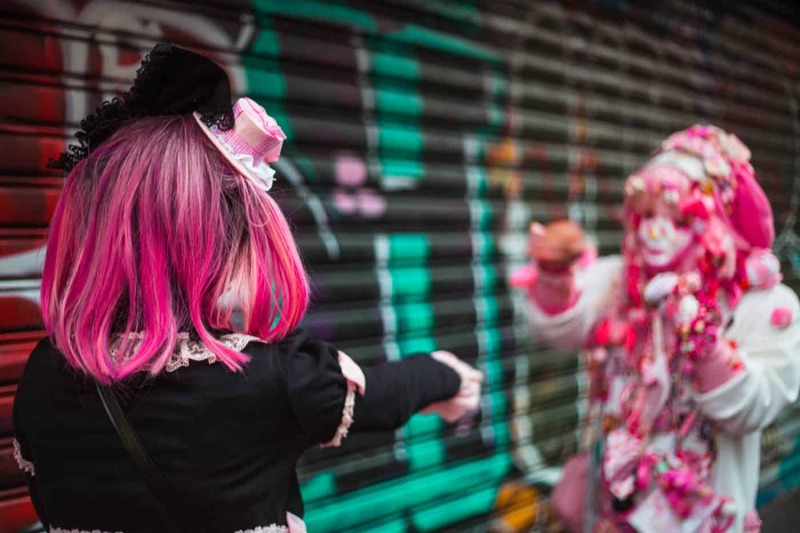 Want to learn more about Japan’s Harajuku culture? 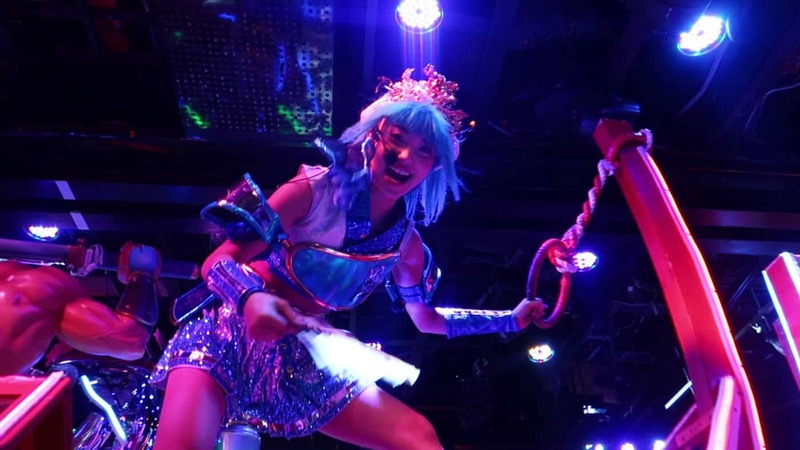 Learn all about its history and significane on this guided tour of Harajuku. Tokyo isn’t just a great city to explore, but also a great base for exploring Japan. Japan is one of the most well-connected countries in the world, and it’s possible to travel halfway across its land in just a couple of hours. Take advantage of the Shinkansen – and get the bullet train experience! – by taking one of the many possible day trips from Tokyo. 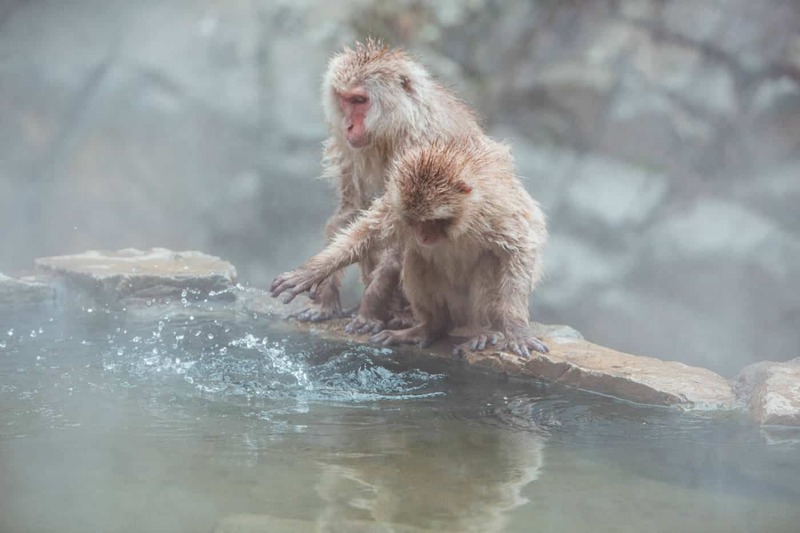 Whether you want to see the unique Japanese snow monkeys bathing in hot springs, learn how to onsen in the human hot springs or try the famous Fuji food, you’ll be surprised just how accessible some of Japan’s best spots are from Tokyo. Art-lovers will enjoy learning about Tokyo contemporary architecture is this tour of the city’s trendiest neighbourhoods. Get a truly local experience by hiring a private guide to show you the city. See the best views and appreciate Tokyo from above at the world’s tallest freestanding tower, Skytree. One of the things we quickly noticed about Tokyo is that it’s a night city. Sure, the streets are bustling all day long, but Tokyo really comes into its own once the sun goes down… and sometimes that means things can get a bit weird. Start your evening with a drink in Shinjuku’s Golden Gai district. This small area of winding alleyways is home to over 200 “tiny bars”, most of which can fit no more than 5 or 6 patrons at any one time. Try a local whiskey and strike up a conversation with the bartender. You never know what might happen. Once you have a little liquid courage inside you, it’s time to face the music… I usually stay away from super touristy attractions (even if I am all for visiting touristy destinations) but the Robot Show was one of my favourite experiences in Japan. It’s far from cheap (check here to save on your advance ticket), but it’s one of the most entertaining experiences you will have – even if you do spend most of the time confused/scared/questioning your life and how you ended up here. It’s the kind of thing you have to see to believe. If the show’s given you a new wave of energy, good news: Most karaoke bars are open 24 hours and you won’t have to venture far to find one. My favourite is Karaoke World, where private rooms come with the option of unlimited drinks for just a couple of dollars more. Whatever your usual travel style, there’s a very good chance you’ll be sad to leave Tokyo. 5 days just isn’t enough to see the city – and I’m not sure 5 months would even be enough. Depending on your flight time, use your final day in Tokyo to binge on whatever it is you love most. Whether it’s the carousel sushi bars, cute souvenirs shops, quirky coffee stops, impressive temples or beautiful open parks, Tokyo has a lot to fall in love with and everyone leaves with completely different memories. A little bit of organisation will go a long one when visiting Japan, and that’s especially true for Tokyo. Here’s how to make the most of your time there. Stay near a station. Tokyo is a BIG city and getting round can be time-consuming. Staying near one of the main stations will save you a lot of stress and help you squeeze more in, especially if you only have 5 days in Tokyo (or less). Get a Suica card. Suica is a pre-paid card that can be used to pay for travel, as well as in a lot of stores and at vending machines. You just top it up and use it like a contactless debit card, and you can return it to get any remaining balance back at the end. Having a Suica saves carrying lots of cash around (Yen isn’t the easy currency to figure out!) and will save you on a hefty bill back home. P.S. 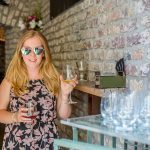 If you want to save even more on your travels, check out my favourite cards and bank accounts for travellers. Make use of grocery stores and vending machines. Speaking of grocery stores and vending machines, these super convenient spots can be found on every single street and come in really useful. The vending machines in Japan stock both hot drinks and cold drinks and the convenience stores always have plenty of fresh food, hot and cold. Buy a metro pass. If you want to make the most of your short time in Tokyo and see as much of the city as possible, a 24-, 48- or 72-hour metro pass will be your best friend and save you lots of money. Get yours here. Rent a pocket WiFi. One of the best things about Japan is the SUPER high-speed WiFi, especially in Tokyo, where 5G is standard (hello, Europe, can we catch up please?). Despite being super speedy, however, WiFi isn’t a given in Japan – even in hotels. Most visitors in Japan rent a portable WiFi device for their stay and I’d highly recommend you do the same. You can connect multiple devices and enjoy unlimited data on this one, which will cost you less than £6 per day for your 5 days in Tokyo. When is the best time to visit Hokkaido?